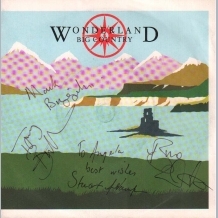 A good original 1984 Wonderland 7in vinyl record sleeve, clearly signed in ink by all four group members ; Stuart Adamson (To Angela best wishes) / Tony Butler / Bruce Watson and Mark Brzezicki. 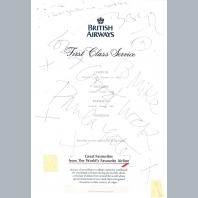 ALSO INCLUDED an original 1983 Crossing The Country Tour programme. 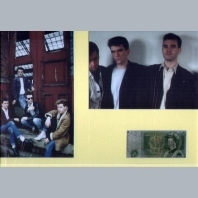 30x24 cm Sized Four Page Fold Out Tour Programme. 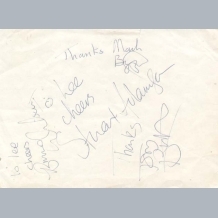 An original circa 1980s autograph book page, clearly signed in ink by all four group members ; Stuart Adamson (To Lee cheers) / Tony Butler (thanks) / Bruce Watson (To Lee cheers) and Mark Brzezicki (thanks). 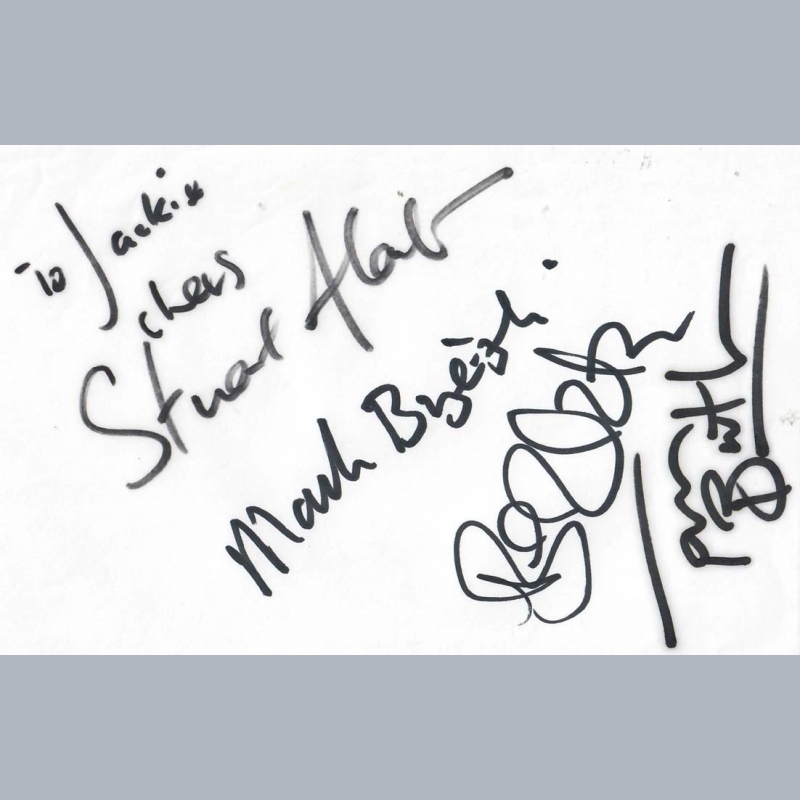 A good 1999 autograph book page, clearly signed in ballpoints by all four group members ; Stuart Adamson (adding To Kath Cheers 99) / Tony Butler / Bruce Watson and Mark Brzezicki. 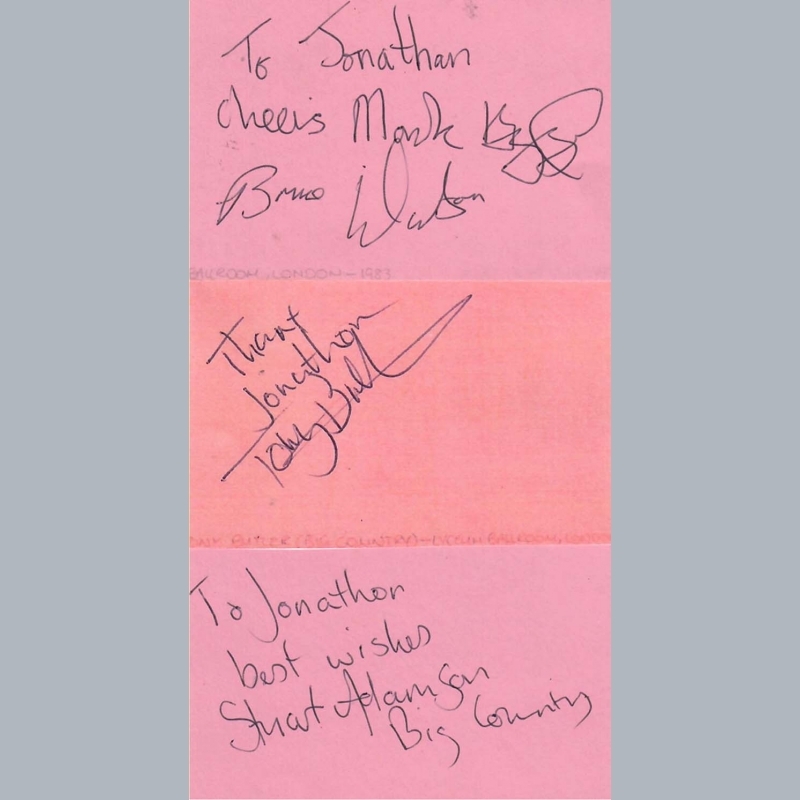 One of a huge collection of over 1000 autographs in around a dozen large books all obtained in person (between 1990-1999 mostly in the Manchester area) by husband and wife Tony & Kath (many autographs are personally dedicated / dated to them with messages of thanks from the artists). 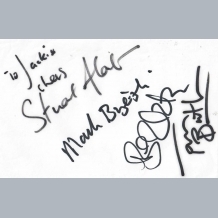 The majority of signatures are of the major pop-groups of the period (including many Brit-Pop) signed at the various Manchester music venues (The Apollo / Nymex Arena / The Academy / G-Mex Centre and The University Union) and also at festivals (the T-Festival Strathclyde 1995-97). From the notes / dedications within the books and the difficult accessibility into such premium venues & concerts, we believe the couple must have worked in positions that gave / allowed them back-stage access during the period. 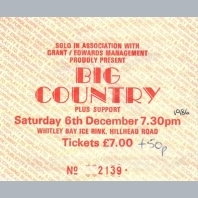 Big Country played the Manchester University Union supported by The Alarm on 13th December 1999. 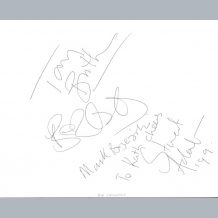 The position / number of this page within the books and our research leads us to conclude that this is likely to be the actual signing date for this autograph. IAA. AFTAL Dealer No13 and UACC RD Memorabilia UK COA. 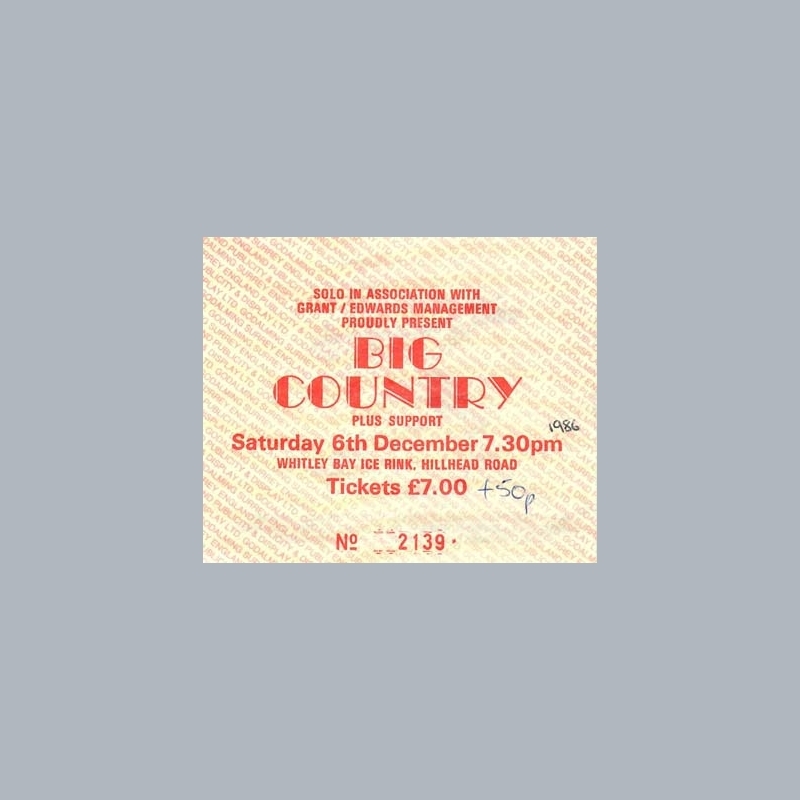 BIG COUNTRY. 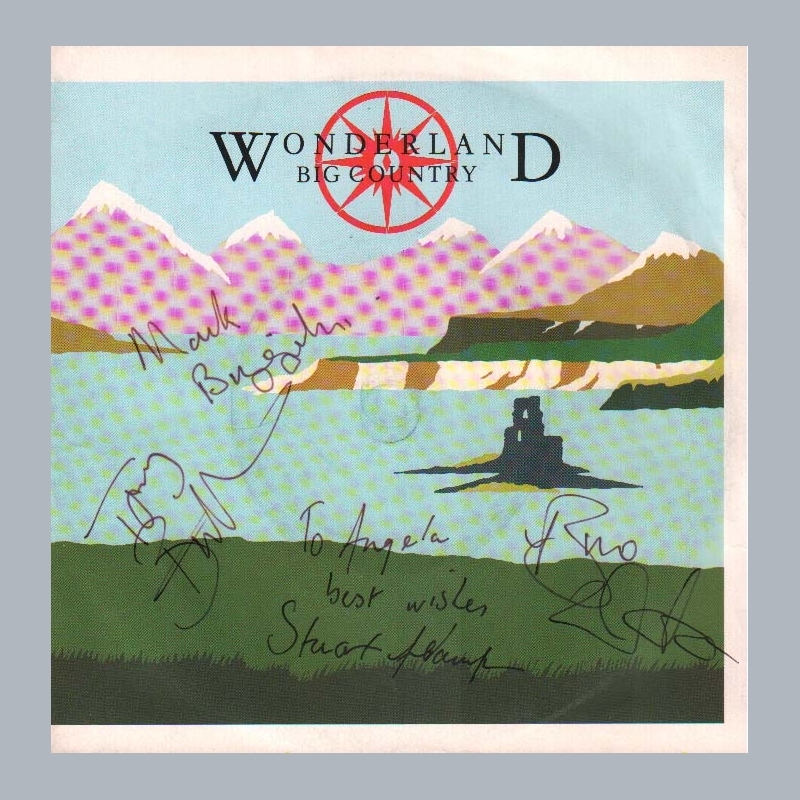 Scottish folk rock group with cult status best known for their Top 20 single "In a Big Country" and LPs "Steeltown" (1984 No1) / "The Seer" (1986 No2). Lead singer Stuart Adamson struggled with alcoholism and emotional issues during the 1990s, before sadly committing suicide in 2001 in Hawaii. 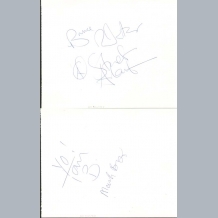 A good pair of 1993 autograph book pages, clearly signed in ballpoints by all four group members ; Stuart Adamson / Tony Butler (signed Yo! 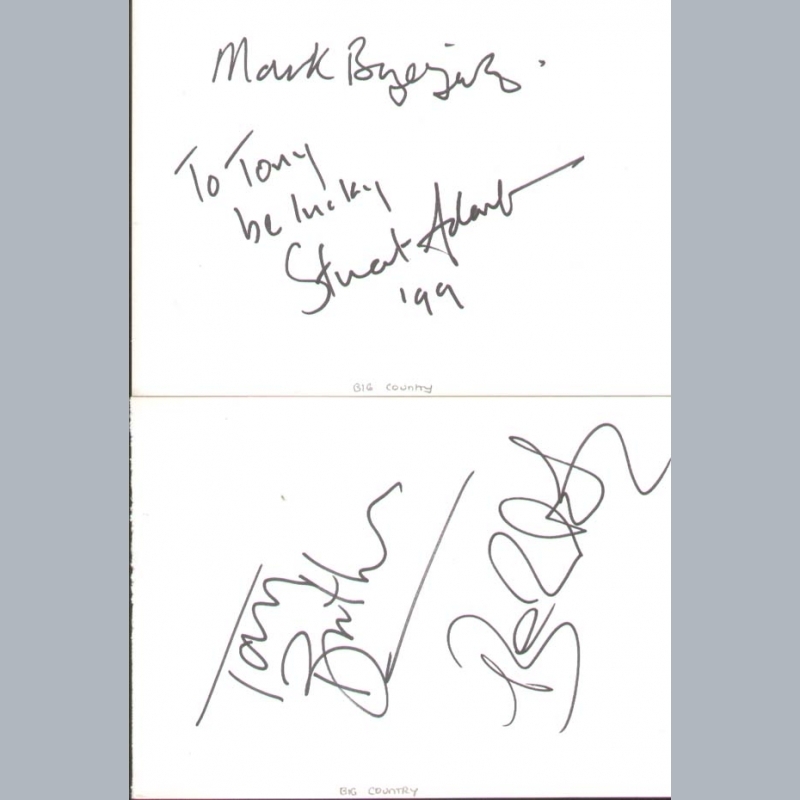 Tony B) / Bruce Watson and Mark Brzezicki. 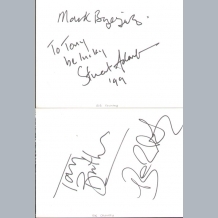 One of a huge collection of over 1000 autographs in around a dozen large books all obtained in person (between 1990-1999 mostly in the Manchester area) by husband and wife Tony & Kath (many autographs are personally dedicated / dated to them with messages of thanks from the artists). 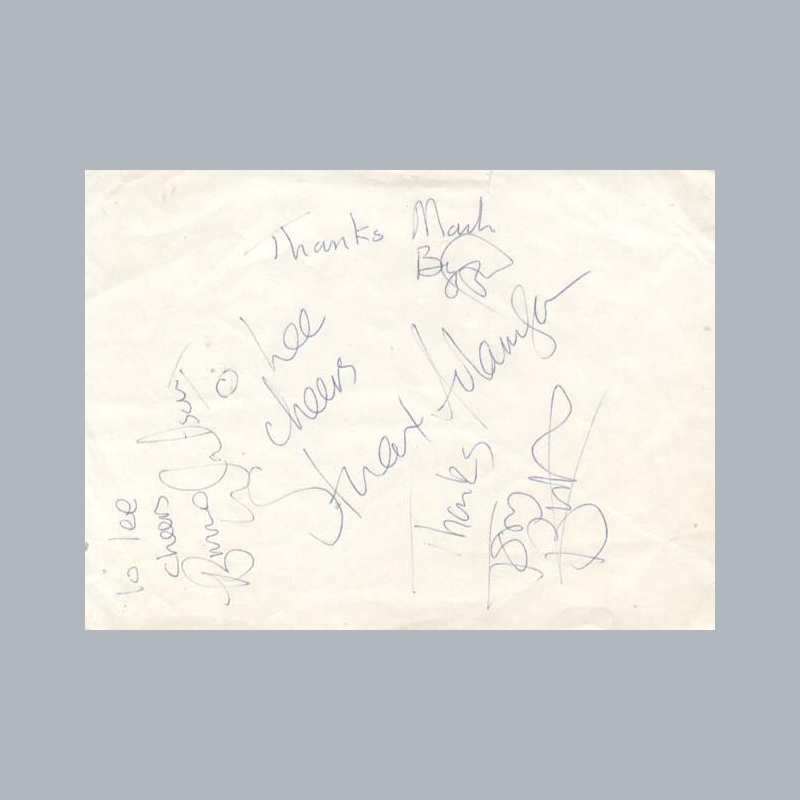 The majority of signatures are of the major pop-groups of the period (including many Brit-Pop) signed at the various Manchester music venues (The Apollo / Nymex Arena / The Academy / G-Mex Centre and The University Union) and also at festivals (the T-Festival Strathclyde 1995-97). 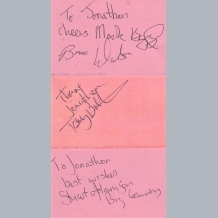 From the notes / dedications within the books and the difficult accessibility into such premium venues & concerts, we believe the couple must have worked in positions that gave / allowed them back-stage access during the period. 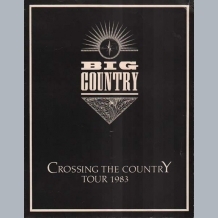 Big Country played the Manchester Apollo on May 22nd 1993. 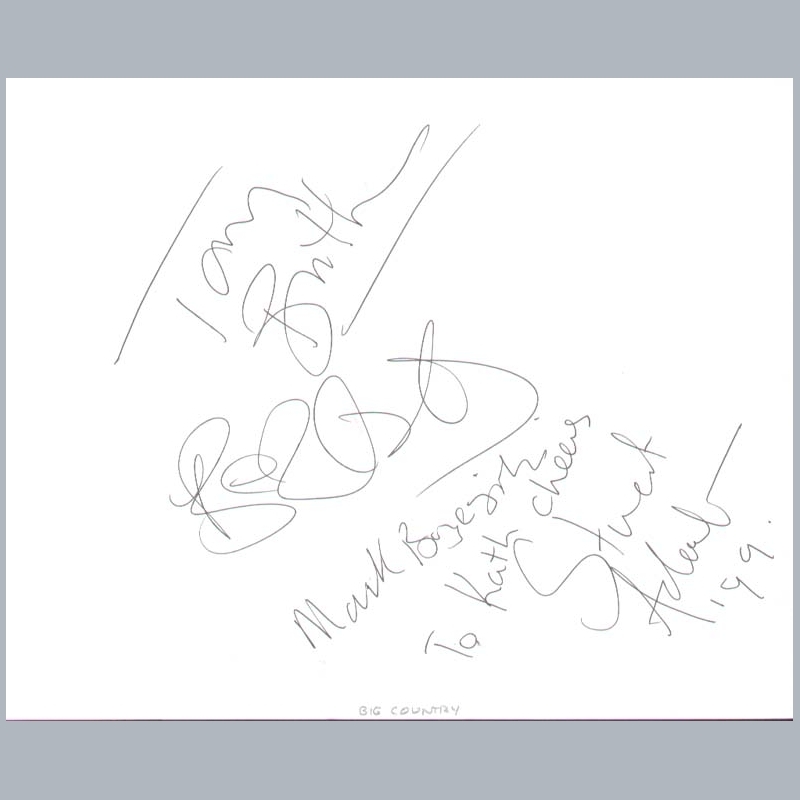 The position / number of this page within the books and our research leads us to conclude that this is likely to be the actual signing date for this autograph. IAA. AFTAL Dealer No13 and UACC RD Memorabilia UK COA. 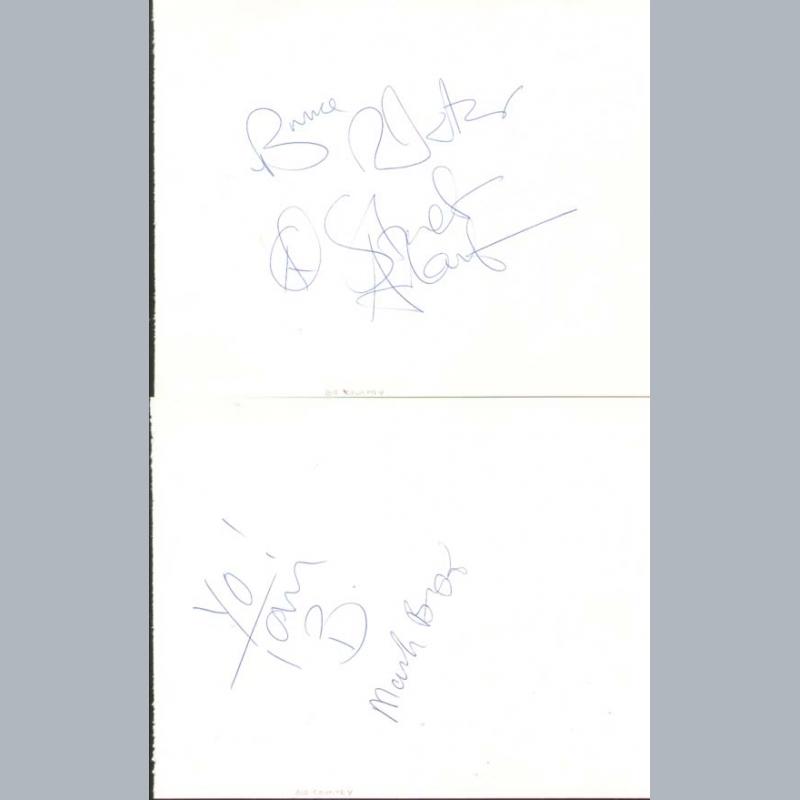 A good pair of 1999 autograph book pages, clearly signed in markers by all four group members ; Stuart Adamson (adding To Tony be lucky 99) / Tony Butler / Bruce Watson and Mark Brzezicki. We have no videos for Big Country.